Last time we came to New Zealand (March 2014) we didn’t really see much, if any of Auckland. I’d say that New Zealand is more infamous for its astonishing landscapes and divine scenery. Therefore when it comes to its 3 (now 2) big cities; Auckland, Wellington and Christchurch, they really aren’t that vast. But the beauty of them is they needn’t be because the rest of the county has so much else to offer, so much more than any other country has to give. After we arrived and celebrated New Years Eve, we stayed with a friend who moved out here with his parents 8 years ago. It’s great knowing someone in a brand new city as they know all the cool areas, spots that you’d have no clue existed. He lives in the North Shore a sweet suburb called Milford. I think if I chose to live in Auckland I’d live in the north shore too. So many nice beaches, but not too far from the hustle and bustle of the city. I really liked Takapuna too, lots of shops and cafes, there’d be no need to visit the city at all if you lived there. 1. The Coast to Coast city walk. We woke up and drove into the CBD at 7am. We parked near the viaduct harbour, here would be our starting point. The mission was to walk from one side of the coast to the other. The walk took about 5 hours. 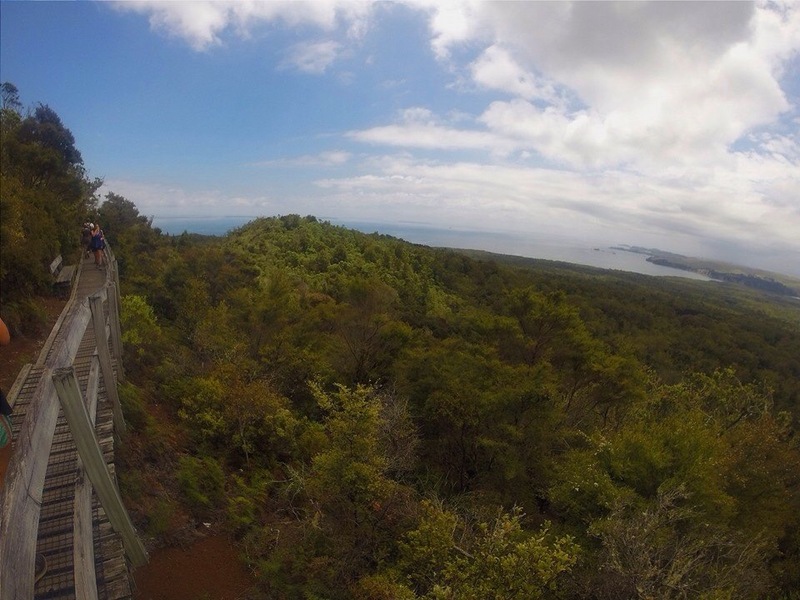 During the hike we walked up One tree hill and Mount Eden – both volcanos that overlook the whole city. Both amazing views! We ended the walk touching the cool waters of Onehunga. It felt so good to walk 16K all before mid day! It felt even better tucking into a BLT and mango smoothie straight after! 2. Rangitoto Island Whatever beach you’re on in Auckland, no doubt you will ponder into the distance of the ocean and see the majestic Rangitoto. A volcano that sits in the sea and is over 600 years old. 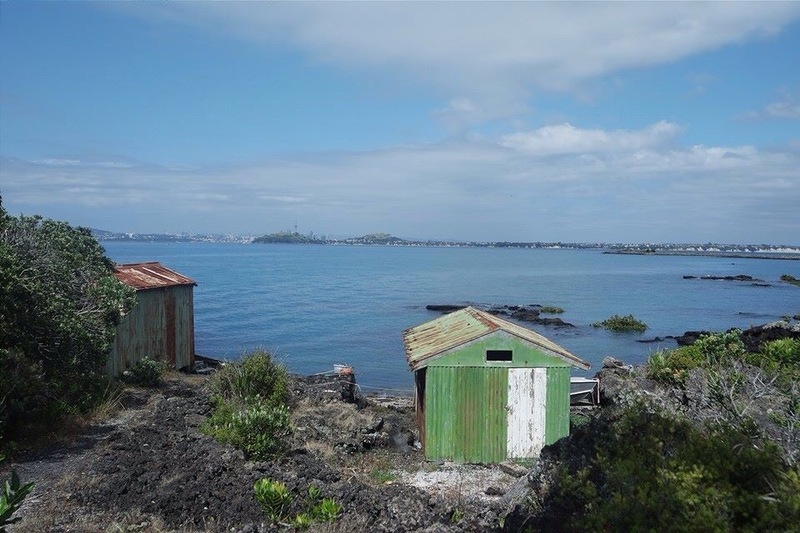 Catch a ferry from Devonport or the viaduct harbour and make sure when arriving on the island you do the longer hike. Doesn’t sound appealing I know, but trust me. You walk past and get to have a snoop in all the historic batches that are on the island. (Batches are what the kiwis call “holiday homes”.) The views of the city around that area are so beautiful too. You then come across Mackenzie bay, a gorgeous beach with powder white sand and the clearest of waters. 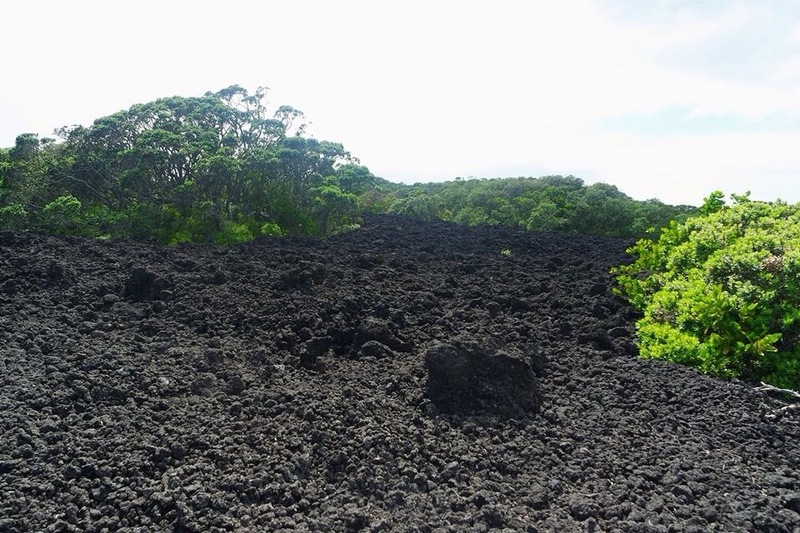 Then comes the hard part of actually climbing the volcano, all through dried up lava that is insane, but it’s totally worth it for the view at the top! A stunning hike that I would definitely recommend. I’ve already mentioned the beauty that is one tree hill and if you do decide to head there, try and get there for sunset about 8/8:30pm. It’s such a gorgeous setting, rolling hills with hundreds of sheep walking past you, all with a 360 degree of the city. Perfect for a date! I’ve already spoke about where we stayed on the north shore. I’m lucky that we did as I think if we had stayed in a hostel in the CBD the whole time we wouldn’t have ventured out as far. 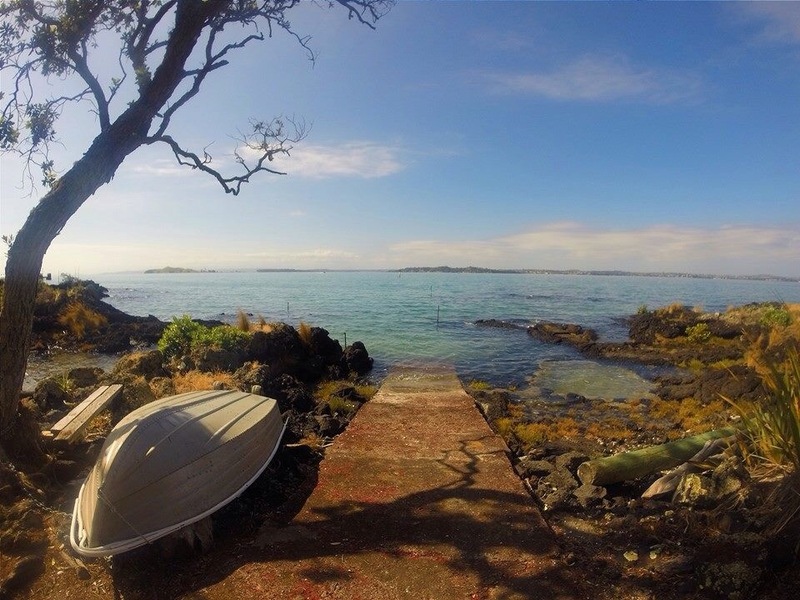 The beaches there are lovely, particularly Long bay, Browns bay and Caster bay. If you can, grab a kayak and ride round them, you might even see an Orcha! If you are staying near the CBD and want to stay local, head to mission bay. It resembles a small seaside town and has a buzz of bars and restaurants. Literally 5 minutes from the city centre. Best of both worlds. The one thing we didn’t get to do unfortunately was to go here. It’s a 45 minute ferry ride from the city. I’ve heard it’s a gorgeous little island with stunning beaches. Hopefully we will get a chance to do this next time we are back in Auckland. 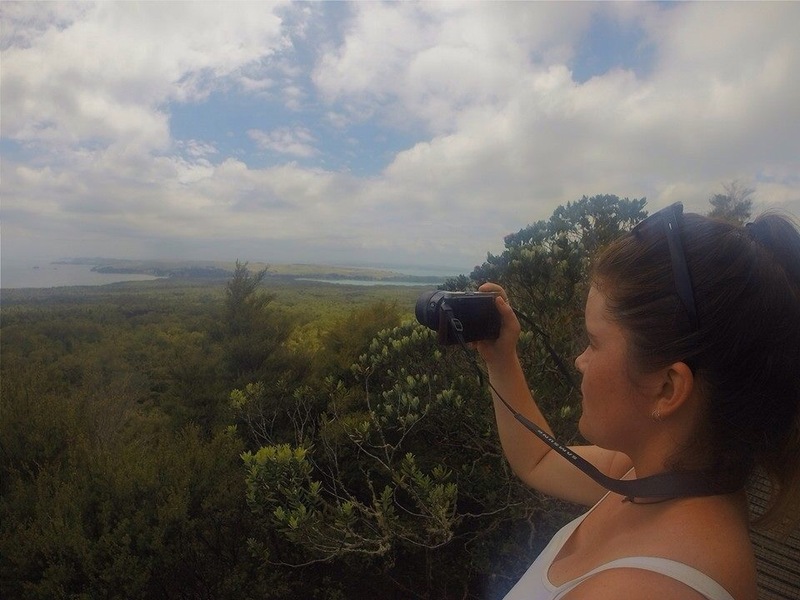 Below are all photos from our time on Rangitoto Island, the view we had looking on to the city, the old historic batches and the dried up lava. Great blog. I think I spent a grand total of one day here in my mad rush to see both islands. I will have to stop back and check it out. ← Back in the Southern Hemisphere!